School Surveillance Systems | LA & AR | Classroom Enhancement Solutions | Homeland Safety Systems, Inc.
A school can only be successful when it is secure, students and staff are protected and educators are held accountable. For children to experience productive learning, they need to feel safe. No matter the quality of education a school offers, children who feel unsafe may be distracted and not fully focused on learning. Without the highest level of technological surveillance, access point locks, metal detectors, inter-operational communication systems, panic buttons, and other security measures, your school may not be adequately secure. Today’s educators are searching for ways to improve school surveillance systems for enhanced student and staff safety. To assist in this process, Homeland Safety Systems, Inc implements Classroom Enhancement Solutions. CLASSROOM ENHANCEMENT SOLUTIONS is a comprehensive security technology that increases safety and effectiveness in the classroom and throughout educational facilities. Tragically, as school shootings and extreme cases of bullying that have led to homicide and suicide increasingly make headlines, as well as other forms of violence and property destruction, a responsible school administration must make security a top priority. With a sophisticated, efficient security system, dangerous, inappropriate, and destructive situations can be prevented and/or intercepted with rapid response. Schools That Monitor, Evaluate and Supervise Classrooms See Significant Increases in Grades and Test Scores. When asked, 38% of teachers agree that student misbehavior interferes with their teaching. Studies show that implementing Classroom Enhancement Solutions throughout schools help to lessen negative interference while accomplishing higher school rankings. A major component of educational excellence, surveillance security systems do more than just protect students and staff from violence and other inappropriate conduct in schools. With cameras in classrooms, administrators can not only monitor students for their safety, but they can also evaluate the teachers and their interactions with the students. Using information collected from surveillance systems, teachers can be helped to improve their student interactions, teaching methods and how they deliver the curriculum. Homeland Safety Systems, Inc. has documented cases where school cameras and security systems not only reduce violence and fights in schools and classrooms but also where grades and test scores have significantly increased because both students and teachers are held more accountable. Bullying is a serious and complicated problem in our education system today. Identifying bullies is easy, however, catching them in the act of proof is usually much more challenging. Surveillance cameras are able to provide this proof, and eliminate the “he said, she said”. In conjunction with an effective campus security plan, SRO’s and teachers monitoring the halls, any instances of bullying will have a witness. Administrators will have the means to counteract the situation with undeniable evidence before the situation becomes catastrophic. An Emergency Management System is a major component of your school’s safety. Homeland Safety Systems, Inc.’s Emergency Management System is designed to provide quick information about your school in an emergency situation. First responders can quickly access your school’s floor plan, showing camera locations, and give emergency crews an internal view of your facility. When movement is detected, the camera locations flash and provide an alert of unauthorized access to the facility and allows quick access to individual camera views. Bullying is a serious and complicated problem in our education system today. Identifying bullies is easy, however, catching them in the act of proof is usually much more challenging. Surveillance cameras are able to provide this proof, and eliminate the “he said, she said.” In conjunction with an effective campus security plan, SRO’s and teachers monitoring the halls, any instances of bullying will have a witness. Administrators will have the means to counteract the situation with undeniable evidence before the situation becomes catastrophic. Within schools, it’s impossible to maintain fully safe, secure operations and classroom monitoring without an advanced surveillance system. Too many out-of-sight areas, rooms, hallways and storage rooms are susceptible to the problem of violence, theft, and property destruction. Homeland Safety Systems, Inc. customizes digital remote internet connected viewing camera systems that can view every space in your school. Should violence or other unacceptable conduct be viewed, security officers can respond quickly to avert or minimize violence and manage property damage and/or hold perpetrators accountable. 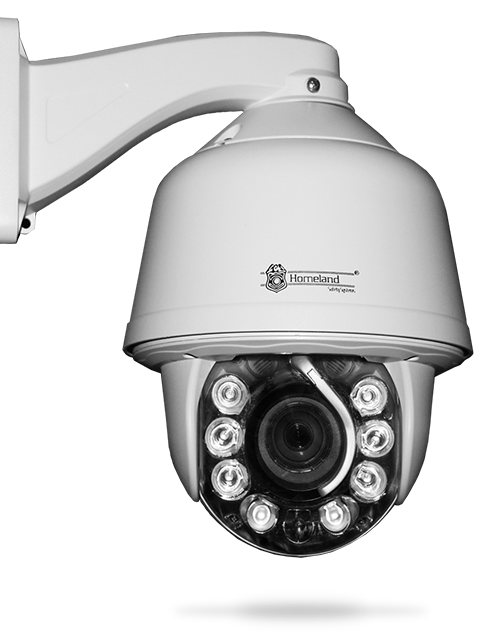 Our digital remote viewing camera systems are customized based on a client’s needed application to ensure a cost-efficient solution. As a system designer and manufacturer, Homeland Safety Systems, Inc. has the unique knowledge required for the proper equipment with school safety preparedness. To have control over who accesses your building and classroom is crucial for the security and safety of students and staff. Restricting doorway access can be integrated with school surveillance video feeds and reports generated about who opened specific doors. This improves monitoring of access to bathrooms and supply rooms. Should a school emergency occur, with the press of a button, doors can be remotely locked down. Homeland Safety Systems, Inc.’s professionally designed systems give schools the ability to track, record & deter access throughout your school and restrict access to sensitive areas. State-of-the-art metal detectors are critical for the safe and secure operation of a school facility. Ensuring weapons are not covertly brought into schools is, of course, critical to maintaining a safe environment. Homeland Safety Systems, Inc. is an authorized dealer of Garrett Metal Detectors, a renowned, technologically superior global leader of walk-through, handheld and ground search metal detection products and training for school security. In the security industry, Garrett metal detectors are the most recognized and trusted, providing practical solutions for weapons security checks. Interoperable emergency communication is important to law enforcement & first responders and is critical to school security. As a certified dealer for Tait, Hytera, and Harris brand radios, Homeland Safety Systems, Inc. specializes in providing Project 24 (P25) compliant radios for fast, secure communication. A state-of-the-art communication system is essential for secure, safe school operations. Homeland Safety Systems offers turnkey solutions for phone systems with voicemail, paging, and remote data applications for your immediate needs that allows for future expansion and integration. Certified in Crisis Management For School-Based Incidents, Homeland Safety Systems, Inc. Provides Extensive Risk Assessments For Schools Across Louisiana, Arkansas & Mississippi. Our risk assessments are typically free and include a detailed walkthrough of your facility. To determine safety risks, our crisis management certified engineers take every single aspect of your facility into account. This includes facility location, current facility security, crime rates in the surrounding area, number of buildings, daily operations, daily traffic in and out of the facility, businesses or neighborhoods in the surrounding area, vehicle traffic, safety signs in and around the facility, parking lots, perimeter fencing, and more. Homeland Safety Systems uses all of these important features to determine the best safety plan for your facility. Everything is taken into account – from adequate lighting and roof access to visitor check-in and safety signage. Once your facility has been assessed, Homeland provides you with a detailed map of your facility with recommended security measures. As a company, we strive to match both your safety needs and your budget. While we know that every facility is different, we are dedicated to engineering the best and most cost-efficient security system for our clients.